Warning: This contains spoilers. 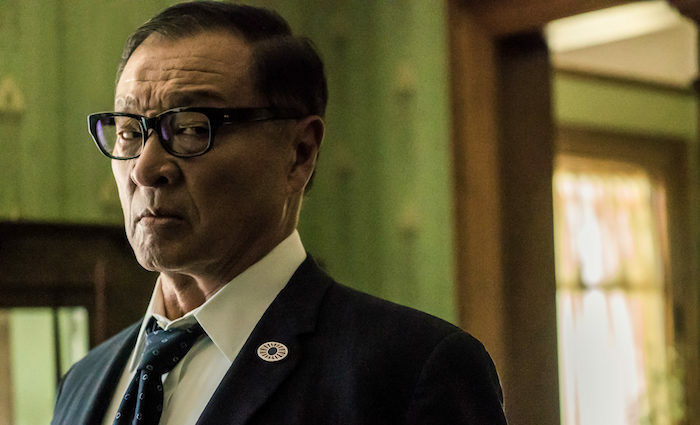 Not caught up with The Man in the High Castle Season 2? Read our spoiler-free review of the opening episode here. The breathtaking revelation of a different Juliana living in our version of 1962 was the culmination of five episodes of near-as-dammit TV perfection. That the second half of The Man in the High Castle Season 2 doesn’t quite hit the mark is perhaps unsurprising, but man, it comes very close. 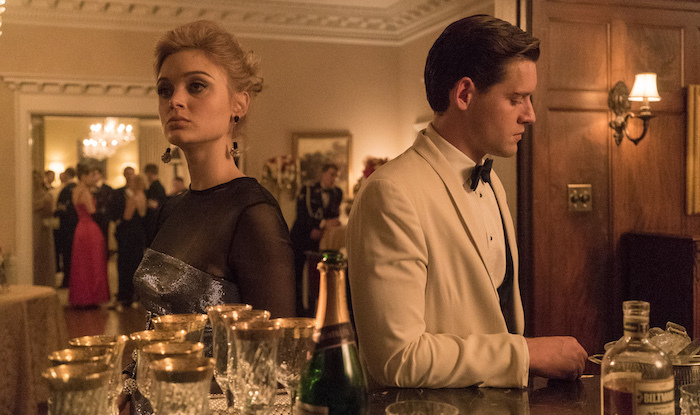 As was made apparent with the season’s opening episode, The Man in the High Castle spins a lot of narrative plates. It settled into its groove for the first half of the season, expanding the show’s world and raising tantalising questions. In the subsequent episodes, the story comes close to collapsing under the weight of having to provide answers and tie up the many threads. Life in Nazi New York is chillingly compelling. As Juliana ingratiates her way into the life of Obergruppenführer Smith (Rufus Sewell), his wife, Helen (Chelah Horsdal), and her friends, we see glimpses of the horror beneath the suburban sheen. Dinner party conversation casually imparts the Nazi sense of superiority, even over their former allies, the Japanese, and introduces the phrase “useless eaters” – a real term first used by the Third Reich during the Holocaust to justify its extermination of the elderly, infirm or those with disabilities. It is, it transpires, present for more than just verisimilitude; there was a reason the whole series began with Smith’s son, Thomas (Quinn Lord), a loyal Nazi at school – his incurable illness is a pin around which all the other story threads wind. 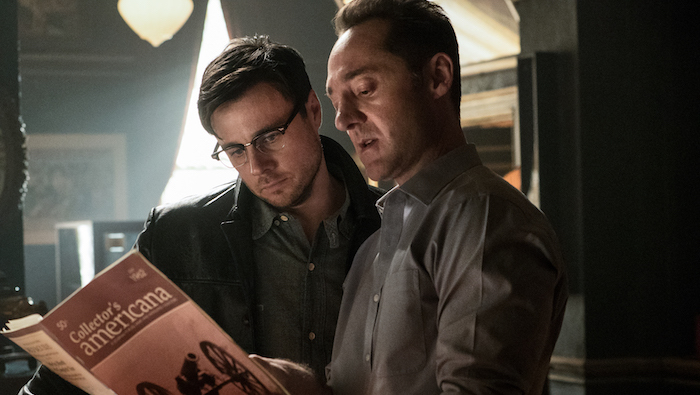 We get a more straightforward tale from Frank (Rupert Evans), as he throws himself with gusto into helping the Resistance. But, while he’s siphoning off explosives and, ultimately, all but turning suicide bomber, the other plot lines he’s involved in suffer. 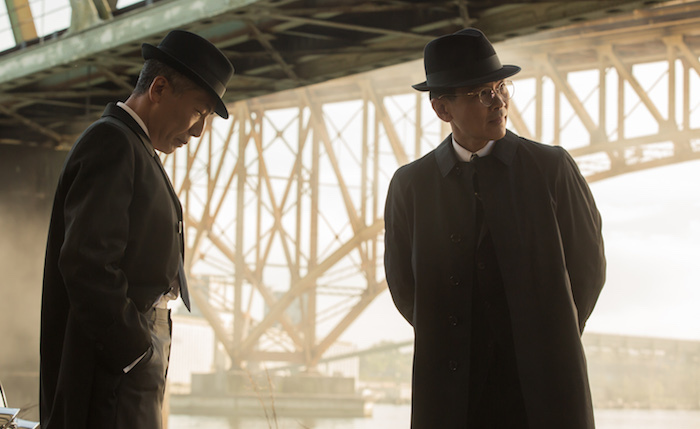 The fantastic odd couple sparring between Ed (DJ Qualls) and Robert (Brennan Brown) gets too little screen-time, especially when the menacing Yakuza are, a little too conveniently, wiped out by the Kempeitai. Similarly, Frank’s love affair with Sarah (Cara Mitsuko ) hints at complication, but ends with Frank’s death. Or does it? 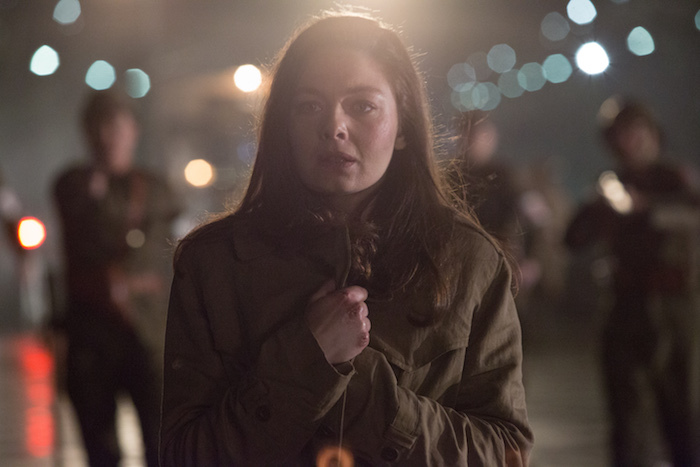 Because that’s the unique nature of Man in the High Castle – people are repeated, again and again, across the different realities. 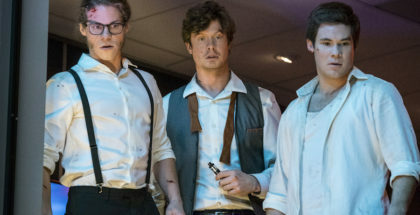 We’re getting ahead of ourselves, but how cool would it be to see Frank appear from another dimension and pick things back up with Sarah and/or Juliana (Alexa Devalos)? And the same goes for Adolf Hitler (Wolf Muser) – killing him off does feel like something of a misstep, especially when his obsession with the films provided a counterpoint to the (other?) Man in the High Castle, Abendsen (Stephen Root). Have we really seen the last of the Führer? Even less convincing is Joe’s sojourn to Berlin. Also, considering what everybody knows regarding the Third Reich, to see an essentially good guy like Joe take on a role in that world is troubling too. Maybe that’s the point – everyone acts differently depending on circumstance – but, in this instance, it’s not convincing; the Joe we saw in Season 1 and the opening of Season 2 would be horrified, surely? As a result, his presence in Berlin seems one of narrative convenience – would his father really allow him into the nerve centre as he prepares to unleash nuclear armageddon? But these are mere cavils when compared to the sheer dramatic majesty of the season as a whole. It contains a plethora of scenes of heart-stopping tension and emotional punch: the Nazi funeral; Smith witnessing the A-bomb destroying Washington; Tagomi living through the Cuban Missile crisis in our world; Frank’s terrorist attack on the Japanese headquarters in San Francisco (which invokes both 9/11 and Timothy McVey’s Oklahoma bombing); the Dr. Strangelove-style Nazi war room; an ageing Hitler painting landscapes at the Eagle’s Nest; and the juxtaposition between our Ban-The-Bomb proto-hippies and the reptilian decadence of the lebensborn (their presence surely had everybody humming the sinister ‘Tomorrow Belongs to Me’ from Cabaret, long before it was used to close the season). Towards the end, it strays dangerously into becoming g the Obergruppenführer Smith Show, as he averts nuclear war and solves the mystery of who killed Hitler. It’s a little neat, too, but still full of astonishing scenes – not least when Smith is presented – unwillingly? – as the Reich’s saviour before a hundred thousand Stormtroopers in the new Reichstag. But, with this loss of focus, Juliana does get rather lost. As we discover, she’s been manipulated throughout and we feel, as no doubt she does, that she’s little more than a chess piece. The pay-off is worth it, though, as Juliana has the whole plot explained to her by the Man in the High Castle himself, Abendsen. It could be a bit Scooby Doo, but the writing, and the acting, is astounding. Having seen her appear in the films from all the different realities “over and over again”, Abendsen came to realise that she would stand up to those in the resistance, like Dixon (Tate Donovan), who believe that to beat the Nazis “then we need to be worse”. And so it is revealed, Juliana killed Dixon to save Thomas, inadvertently saving Smith who then saved the world. But at what cost? Juliana’s breakdown is devastating to watch – Devalos surely should join Sewell in getting some awards – as she sobs: “I have nothing left! No one left! There’s no way out!” But there is a way out. The Man in the High Castle isn’t done with her, or us, yet. One last brilliant twist: out there, waiting for Juliana, is her dead sister, Trudy (Conor Leslie), brought back to life. This is a simply astonishing series that, now it’s culled a few of its extraneous storylines, will surely provide an even better third season. The story, expertly told, is compelling in a way the best sci-fi is – rooted in our genuine history, it comments on our real life present, and our uncertain future. “The United States must greatly strengthen and expand its nuclear capability until such time as the world comes to its senses regarding nukes.” Not a fictional politician in a parallel universe but President-Elect Trump, right here, right now, on this Earth. 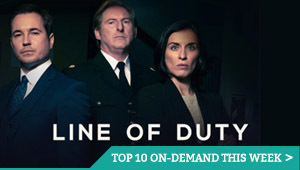 This is brilliant, moving, thought-provoking and timely television. Let’s hope The Donald’s watching. Seasons 1 and 2 of The Man in the High castle are now available exclusively on Amazon Prime Video, as part of a £5.99 monthly subscription – or, if you also want free next-day delivery and access to Spotify rival Prime Music, a full £79 annual Amazon Prime membership.